The couple entered the wedlock last year in April. 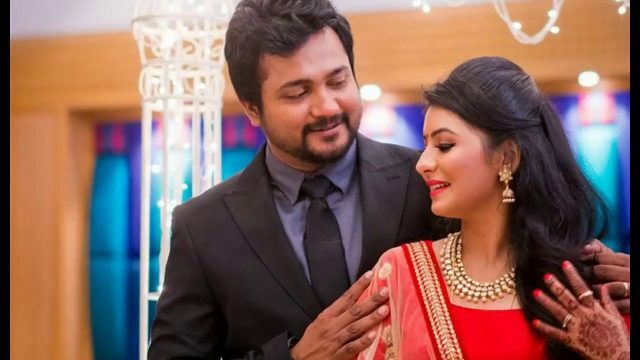 Actors couple Bobby Simha and Reshmi Menon entered the wedlock in on April 22, 2016. The couple met during the shoot of the film Urumeen in 2015. The couple dated each other for a year before getting married. It’s been a little over and year that the is couple is married. The couple is now blessed with a baby girl and the family of the actors is very elated. Source close to the actor says that the mother and baby are doing fine. The baby girl was born in a private hospital in Chennai. Reshmi had a baby shower on April 6, 2017, which was a private do attended by close friends and family. Reshmi Menon was last seen in actor Sairam Shankar’s Nenorakam in Telugu and has not taken up any acting assignments since her wedding. Bobby is currently working on three projects – Vallavanukku Vallavan, Thiruttu Payale 2 and Karuppan in Tamil. He is also working on an untitled film in Malayalam, details of which are going to be revealed soon. Few months ago, there were rumours that the couple were heading to divorce and there are a lot of differences between them. This good news should clear all the air regarding their marriage. Bobby Simha has done a lot of short films before getting an opportunity in feature films. One of his short films, Black & White, was a successful one and got Simha a lot of fame. Congratulations to Bobby Simha and Reshmi Menon.